During a session yesterday at the E-Scrap Conference, the Consumer Electronics Association(CEA)®, the Institute of Scrap Recycling Industries Inc. (ISRI)®, and InnoCentive, the pioneer in crowdsourcing and open innovation, announced the winners of the second “CRT Challenge” to develop compelling economic and environmentally preferable solutions for recycling old cathode ray tube (CRT) televisions and monitors. The winning solution proposed using recycled CRT glass as a component for vitrification of nuclear waste. Vitrification involves the melting of nuclear waste materials with glass-forming additives so that the final vitreous product incorporates the waste contaminants. There are significant volumes of nuclear waste currently planned to be vitrified, especially in the U.S. Dr. Thomas Engelhardt, who is a senior executive advisor to a major international investment fund and holds a doctoral degree in physical chemistry, developed the proposal. His graduate and postgraduate studies at various international research facilities have focused on the characterization of molecular liquids with X-ray, neutron and EXAFS spectroscopy. Dr. Engelhardt will receive a $10,000 award for his CRT Challenge solution. The runner-up proposed a two-step solution: (1) conducting an extensive literature review on manufacturing processes for using CRT-related waste glass, including cost analysis (raw materials transport) and the impact on the environment; and, (2) creating an approach for developing a property/composition model for using CRT glass waste forms to treat nuclear wastes, by making chemical durable borosilicate glasses geologically stable. Dr. Mariano Velez, a senior research engineer at Mo-Sci Corp., will receive $5,000 for the runner-up solution. Dr. Velez holds a Ph.D. in ceramic engineering and has conducted glass research for more than 30 years, focusing on glasses with very high chemical durability, glass-reinforced polymer composites, materials manufacturing, design and properties optimization, use of nanoparticles and nanofibers, and evaluation of recycled and waste materials. CEA and the Environmental Defense Fund (EDF) sponsored the first CRT Challenge in 2011, and it yielded three winners. Mario Rosato proposed a closed-loop process for separating lead from glass in a form with high market value for a variety of industries. Nulife Glass Processing Ltd. proposed a solution that utilizes an extremely energy efficient electrically heated furnace, uniquely designed to produce minimal emissions; and operates these furnaces in New York and the UK. The third winner was Robert Kirby, who submitted an idea for combining CRT glass with cement to create tile and bricks that are tested, labeled and sold specifically for applications where lead shielding is required, such as X-ray and fluoroscopy rooms. CEA and ISRI will work with the winners of this year’s CRT Challenge to further understanding of these solutions among CRT stakeholders, with the goals of raising awareness, helping to create market demand for used CRT glass, and encouraging government consideration of these approaches. The EPA’s Office of Resource Conservation and Recovery is pleased to announce the release of an updated set of Frequently Asked Questions (FAQs) on the existing cathode ray tube (CRT) regulation. This set of FAQs includes both new and updated questions that have been added to the original set of CRT FAQs that were released April 2013. EPA first published the CRT FAQs to assist entities that collect, manage, and recycle used CRTs and CRT glass with understanding the federal regulations that apply to these materials. (2) What it means for a person to “show that the material is potentially recyclable and has a feasible means of being recycled” under the speculative accumulation provision. 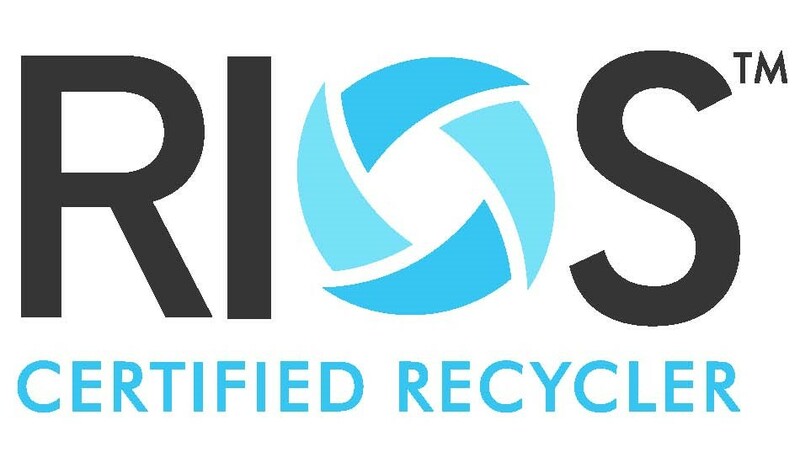 For additional information about this FAQ and CRT recycling, please contact ISRI staff Eric Harris, director of government and international affairs, at 202-662-8514 and David Wagger, director of environmental management, at 202-662-8533. The U.S. Environmental Protection Agency is considering a new rule it says will help it better track of cathode ray tube (CRT) monitors and televisions exported for recycling and reuse. “When used CRTs are exported for recycling or reuse, there may be several persons involved from the time that a decision is made to export these materials up to the time that the actual export occurs. The trade in used electronics can take place along a chain of businesses that collect, refurbish, dismantle, recycle, and reprocess used electronic products and their components,” the EPA states in its proposed change of regulations, available here. James Levine, President of Regency Technologies in Cleveland, says the new law aims to make recyclers throughout the export chain more accountable for the handling of these materials, not just the primary exporter as is currently the case. “The EPA is trying to make people more accountable a few more levels down the line,” Levine says. Under current law, exporters of CRTs must notify the EPA of an intended shipment 60 days before the shipment occurs. Notifications may cover exports extending over a 12-month or shorter period. This notification includes information about the exporting recycler, the importing recycler and the frequency and estimated quantity to be shipped, and which countries the material will pass through on its way to its final destination. The EPA then it notifies the receiving country and any transit countries. When the receiving country consents in writing to receive the CRTs, EPA forwards an Acknowledgement of Consent (AOC) to the exporter. The exporter may not ship the CRTs until he receives the AOC. Under these rules, exporters are not required to tell the EPA how much was actually exported in a given year. The new rules proposed would require annual reports from all parties defined as exporters. These reports must provide basic information abot the business and the total quantities actually shipped for recycling, the frequency of shipment and the ultimate destination of the exported materials. This, the EPA says, will help determine that the CRTs are handled as commodities and not waste. A new rule will also subject CRTs sent for reuse will be to similar notifications and requirements. “The Agency has become aware that some CRTs allegedly exported for reuse are actually recycled in the receiving country, sometimes under unsafe conditions. Failure to file the notice required for CRTs sent for recycling deprives the Agency of its ability to notify the receiving country about the CRTs to be imported,” according to the EPA. This new requirement for reporting would help prevent that, the EPA says. EPA’s proposal to impose additional notification requirements on exporters handling used, intact CRTs intended for re-use raises jurisdictional issues, according to the Institute of Scrap Recycling Industries. Despite RCRA (Resource Conservation and Recovery Act) jurisdiction being limited to materials that have been “discarded,” the proposal intends to expand EPA’s reach to also cover used, functioning CRTs exported for reuse. The rationale is based on the grounds that the export of such used products might actually be intended for some purpose other than re-use and therefore raising a concern that the CRT’s might be improperly discarded at a future date and place. This assertion is contrary to US law as RCRA’s jurisdiction does not extend to reusable CRTs, especially functional units.